Work for Restless Development & STOPAIDS! After an incredible six years campaigning with Youth Stop AIDS (4 as a volunteer, 2 working at Restless Development), I am moving onto explore new challenges. I’ve been so lucky to have worked with the Youth Stop AIDS and support our powerful campaigns. From us all taking action, we’ve helped put HIV back onto the agenda and fought for access to medicines for all. With nearly one million people still dying of an AIDS related illness every year, our fight is definitely not over and we need you more than ever. But it’s time for me pass on the baton and help find a new Coordinator to lead the most powerful youth-led HIV campaign movement in the UK. Youth Stop AIDS Coordinator to lead on our powerful Youth Stop AIDS campaign and support our network of 15 student societies and local groups around the country to end AIDS by 2030 . Deadline 9am Monday 28th Jan! Communication and Office Coordinator to lead on STOPAIDS communications; creating content for our social media channels and website. And you’ll get the chance to design and organise community fundraising initatives, like the much loved Red-Run and STOPAIDS pub quizzes! 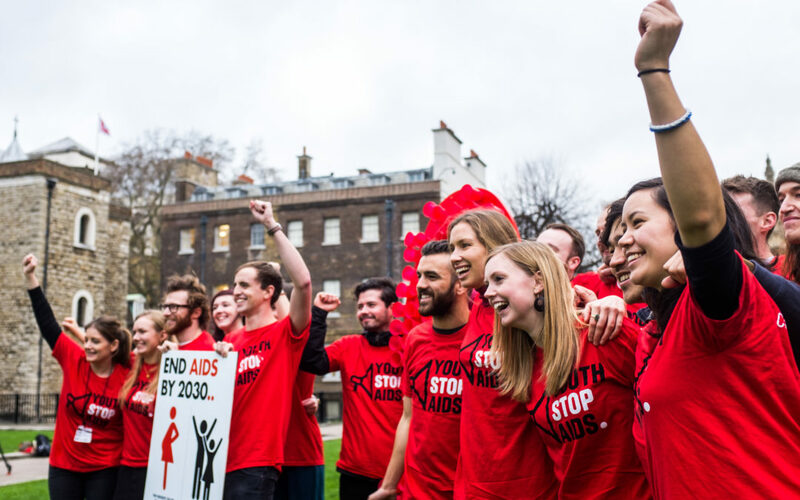 Action for Global Health UK (AfGH UK) Coordinator to be based at STOPAIDS and convene the network which represents over 50 of the UK’s leading NGOs, research institutions and health experts working to promote and improve global health. Thanks again for all your amazing campaigning and working with me the last couple of years. I can’t wait to see what’s next for the Youth Stop AIDS movement and our fight to end AIDS by 2030.